The lemon is a food item, found within the leaves of a lemon tree. When mined, lemon in leaves drop a lemon. Nine lemons can be crafted back from lemon blocks. 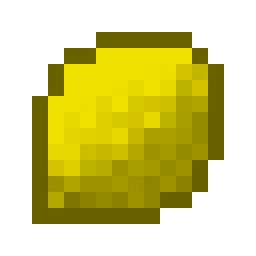 When eaten by the player, the lemon heals 1.5 hunger points. It can also be used to craft lemonade, which restores 2.5 hunger points. Nine lemons can be used to craft a lemon block. A lemon is required in the recipe for lemonade, which restores 2.5 hunger points. The lemon was added in light of an inside joke on Zanzlanz's website.